Live your dreams with this flight of a lifetime. After a full briefing you will be towed with an instructor to 600 - 1000ft. 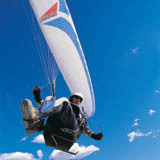 As you glide you might catch a thermal or float gently to the ground. Enjoy the view or try your hand as pilot. 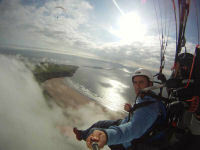 Tandem paragliding flight with a qualified BHPA Instructor, over the beautiful Mountains and Valleys of South Wales.Flight can be tranquil or exciting -you chooose. 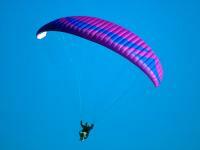 If conditions are good you will get chance to fly the paraglider yourself. 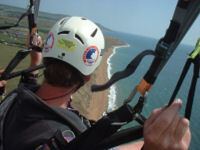 Experience the thrill of Paragliding with an expert pilot at the controls. 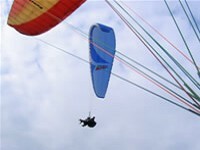 Soar in effortless silence on the natural updrafts created by wind and thermals over the beautiful South Downs. Suitable for young, old, and many disabled. 1 hours, with 20 minutes in the air. 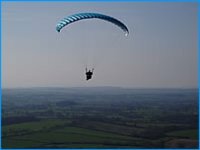 Flying from the beautiful South Downs with a senior BHPA instructor - a wonderful view and a fabulously thrilling experience - you will glide gently around 600 to 1000ft above the ground. A fantastic gift. 1 hours, with 15 minutes in the air. A day long course that introduces you to to the world of Paragliding and prepares you for the full pilot's course which you can go on to complete. Our tow based tuition means you probably get to fly solo on your first day. 1 day, with 30 minutes in the air. 2 hours, with 20 minutes in the air. 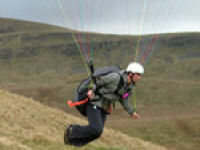 A chance to try out hill launch paragliding, in the beautiful Peak District with British team member Paul Allmark. 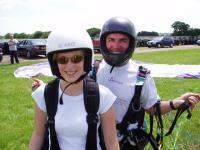 Based on the beautiful South Downs, this single day course is a perfect introduction to the wonderful sport of paragliding. 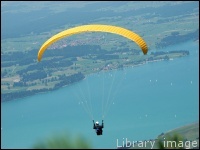 You will be gently introduced to the equipment, learn how to handle a paraglider and experience your first "hops"
A two day introduction to the sport of Paragliding. Course includes some basic theory, pre-flight checks, site evaluation, launch/ground handling skills and as much flying as conditions allow.